Swap to and from RDD without the need for an account on CoinZark. 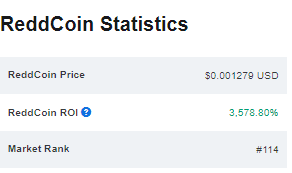 Supporting RDD and 25+ other cryptocurrencies. It’s fast, simple and secure. Low fees and high limits. Rated 5 star excellent on TrustPilot. Guys what is the deadline to vote on https://stakebase.com/vote ? It looks like we lost a bit of our dominance and we may loose the race. jack on Twitter-Are you currently contributing to bitcoin-core or other crypto ecosystem projects for free in your off-time? We’d like to pay you to do it full-time. If interested, DM @SqCrypto, and follow for updates on our progress. Thank you!